​Paul and Corie Bratter are newlyweds in every sense of the word. Hes a straight-as-an-arrow lawyer and shes a free spirit always looking for the latest kick. Their new apartment is her most recent find -- too expensive with bad plumbing and in need of a paint job. After a six-day honeymoon, they get a surprise visit from Corie's loopy mother and decide to play matchmaker during a dinner with their neighbor-in-the-attic, Velasco, where everything that can go wrong, does. Paul just doesnt understand Corie, as she sees it. He's too staid, too boring, and she just wants him to be a little more spontaneous. Running barefoot in the park would be a start. 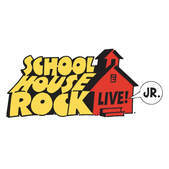 The Emmy Award-winning Saturday morning educational cartoon series and pop culture phenomenon is now the basis for one of the most fun and easily mounted musicals ever to hit the stage, Schoolhouse Rock Live! JR. 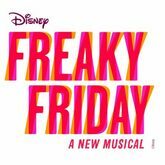 The musical follows Tom, a young schoolteacher, who is nervous about his first day of teaching. He tries to relax by watching TV, when various characters representing facets of his personality emerge from the set and show him how to win his students over with imagination and music. Memorable songs as "Just a Bill," "Lolly, Lolly, Lolly" and "Conjunction Junction" bring his lesson plans vividly to life. ​When an uber-organized mother and her spontaneous teenage daughter magically swap bodies, they have just one day to put things right. Masquerading as each other, they must work together to solve the mystery of how to break the spell. By spending a day in each other's shoes, Katherine and Ellie come to appreciate one another in a way they never could have imagined. In the end, both learn the true power of love and the strength of the bond between a mother and daughter in this heartfelt and hilarious adaptation.